Poison ivy is a type of toxic plant. It is very common in most parts of the United States. Poison ivy often grows low to the ground, resembling a weed or shrub. It also can grow taller as a vine, along plants, trees, or poles. Both forms have stems with 3 leaves. The leaves change color with the seasons. They may produce whitish flowers or berries. The main symptom of poison ivy is a rash. This is otherwise known as contact dermatitis. The rash can be mild or severe. It may appear right away or 1 to 2 days after contact. It is marked by redness and swelling. Small blisters may form and become itchy or painful. Try not to scratch the blisters. Bacteria from under your fingernails can get into the blisters and cause an infection. Touching the poison ivy plant. Touching clothing or shoes that have the oil on it. Touching lawn or garden tools that have the oil on it. Touching pets that have been around poison ivy and have the oil on their fur. Burning the poison ivy plant. The oil from the plant is carried in the smoke. How is poison ivy diagnosed? A doctor can diagnose a poison ivy rash by reviewing your symptoms. They will also examine your rash to make sure it’s not caused by an allergy or other medical condition. Can poison ivy be prevented or avoided? Wear protective clothing when you work in the lawn or garden. This includes long sleeves and pants, as well as gloves. Wash your clothes and shoes after being outside. Clean your gloves and tools after each use. Wash your pets if you think they have come into contact with the plant. Most pets are not allergic to the oil, but they can spread it to you. These tips are especially important if you know you have a severe allergy to poison ivy. The poison ivy rash is not contagious. But you can spread poison ivy to another person if they touch the oil on you or your clothing. Wash your skin right away if you come into contact with poison ivy or another toxic plant. Its oil can bond to your skin within minutes. Use soap and cool water. This can help remove the oil or prevent the oil from spreading. Products that contain certain cleansers, such as mineral oil, may help. antihistamine tablets, such as Benadryl. Oatmeal baths and wet compresses can help reduce symptoms as well. Most cases of poison ivy go away on their own in 1 to 3 weeks. After about a week, the blisters should start to dry up and the rash will begin to fade. Severe cases may last longer, have worse symptoms, and cover more of your body. You have a fever over 100° F (37.8° C). You have a hard time breathing. The rash is in your eyes, in your mouth, or on your genital area. There is pus coming from your blisters. The rash covers large areas of your body. The rash does not get better after 1 week. How long does the oil from poison ivy remain active? 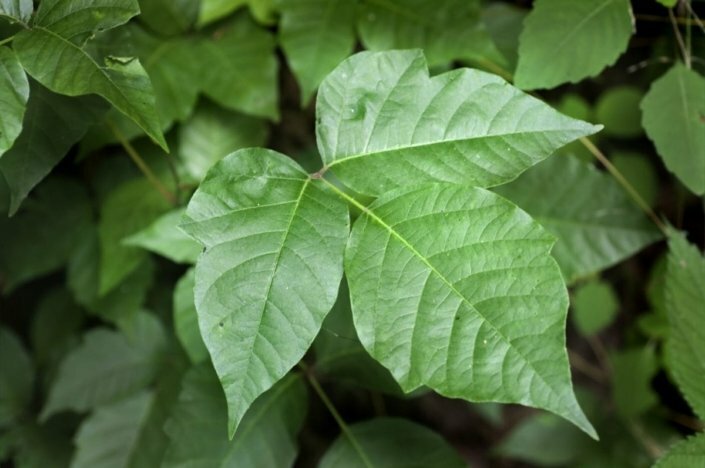 Why are some people more allergic to poison ivy than others? Can my allergy to poison ivy get worse over time? What are the side effects of severe poison ivy? I have poison ivy in my backyard. Is there a safe way to get rid of it?